Collier Electric provides commercial electrical services for business and industrial settings in and around the Moose Jaw area. Our electricians understand how crucial it is to have your commercial grade wiring up-to-date and fully functioning to ensure your everyday operations can continue without interruption. If your lights aren’t working properly or the wiring of your machinery can’t keep up with the everyday workload, we offer thorough diagnosis services to get to the root of the electrical issue. Once we diagnose what is wrong, we will provide the most effective solutions and comprehensive services to get everything back to working order immediately. We provide full repairs for lighting, outlets, fuse boxes, and any other commercial electrical systems. Our team understands that electric can be one of your top priorities when it comes to keeping your business running. Collier Electric offers repairs on broken or spotty systems, allowing you to get back to work as soon as possible. 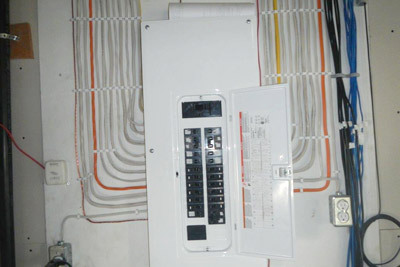 Our installations are available for newer systems that require professional wiring services to get everything properly placed and functioning within your environment. Collier Electric ensures your electrical systems are installed up to your industry standards and efficiently powering your business. To complement our diagnosis, repair, and installation services, we offer general electrical maintenance as well. Collier Electric will visit your business and other commercial facilities to troubleshoot and ensure all of your machinery, wiring, lighting, and other operational aspects are effectively working to the best of their ability. We provide repairs and replacements as needed. Upgrades are crucial to keeping your commercial electrical work up to par with your industry. Collier Electric has experience with various codes and other standards to make sure you and your employees are working in safe conditions.